San Diego-based Edgybees today announced the launch of Argus, its API-based developer platform that makes it easy to add augmented reality features to live video feeds. The service has long used this capability to run its own drone platform for first responders and enterprise customers, which allows its users to tag and track objects and people in emergency situations, for example, to create better situational awareness for first responders. I first saw a demo of the service a year ago, when the team walked a group of journalists through a simulated emergency, with live drone footage and an overlay of a street map and the location of ambulances and other emergency personnel. 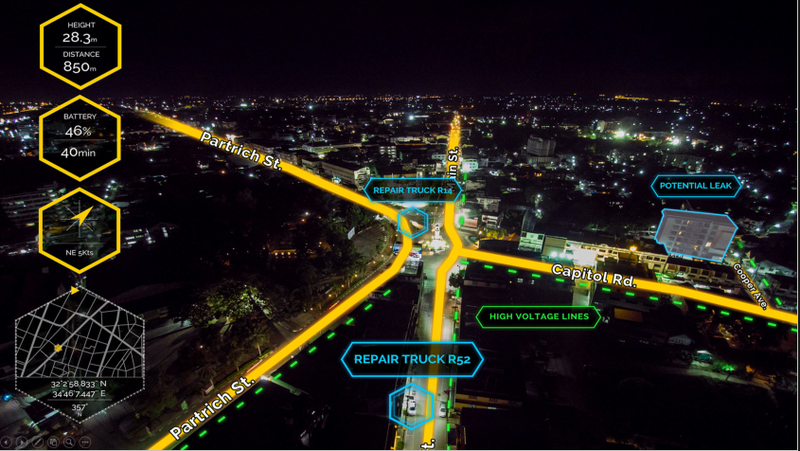 It’s clear how these features could be used in other situations as well, given that few companies have the expertise to combine the video footage, GPS data and other information, including geographic information systems, for their own custom projects. Indeed, that’s what inspired the team to open up its platform. As the Edgybees team told me during an interview at the Ourcrowd Summit last month, it’s impossible for the company to build a new solution for every vertical that could make use of it. So instead of even trying (though it’ll keep refining its existing products), it’s now opening up its platform. In the run-up to today’s launch, the company has already worked with organizations like the PGA to use its software to enhance the live coverage of its golf tournaments. The growth of augmented and virtual reality applications and hardware is ushering in a new age of digital media and imaging technologies, and startups that are putting themselves at the center of that are attracting interest. TechCrunch has learned and confirmed that Matterport — which started out making cameras but has since diversified into a wider platform to capture, create, search and utilise 3D imagery of interior and enclosed spaces in immersive real estate, design, insurance and other B2C and B2B applications — has raised $48 million. Sources tell us the money came at a pre-money valuation of around $325 million, although the company is not commenting on that. From what we understand, the funding is coming ahead of a larger growth round from existing and new investors, to tap into what they see as a big opportunity for building and providing (as a service) highly accurate 3D images of enclosed spaces. The company in December appointed a new CEO, RJ Pittman — who had been the chief product officer at eBay, and before that held executive roles at Apple and Google — to help fill out that bigger strategy. Matterport had raised just under $63 million prior to this and had been valued at around $207 million, according to PitchBook estimates.This current round is coming from existing backers, which include Lux Capital, DCM, Qualcomm Ventures and more. Matterport’s roots are in high-end cameras built to capture multiple images to create 3D interior imagery for a variety of applications, from interior design and real estate to gaming. Changing tides in the worlds of industry and hardware have somewhat shifted its course. On the hardware side, we’ve seen a rise in the functionality of smartphone cameras, as well as a proliferation of specialised 3D cameras at lower price points. So while Matterport still sells its own high-end cameras, it is also starting to work with less expensive devices with spherical lenses — such as the Ricoh Theta, which is nearly 10 times less expensive than Matterport’s Pro2 camera — and smartphones. Matterport is further using this technology to grow its wider database of images. It already has racked up 1.6 million 3D images and millions of 2D images, and at its current growth rate, the aim is to expand its library to 100 million in the coming years, positioning it as a Getty for 3D enclosed images. These, in turn, will be used in two ways: to feed Matterport’s machine learning to train it to create better and faster 3D images; and to become part of a wider library, accessible to other businesses by way of a set of APIs. And, from what I understand, the object will not just be to use images as they are: people would be able to manipulate the images to, for example, remove all the furniture in a room and re-stage it completely without needing to physically do that work ahead of listing a house for sale. Another is adding immersive interior shots into mapping applications like Google’s Street View. “We are a data company,” Pittman told me when I met him for coffee last month. The ability to convert 2D into 3D images using artificial intelligence to help automate the process is a potentially big area that Matterport, and its investors, believe will be in increasing demand. That’s not just because people still think there will one day be a bigger market for virtual reality headsets, which will need more interesting content, but because we as consumers already have come to expect more realistic and immersive experiences today, even when viewing things on regular screens — and because B2B and enterprise services (for example design or insurance applications) have also grown in sophistication and now require these kinds of images. While Matterport is doubling down on its cloud services strategy, it also has been making some hires to take the business to its next steps. In addition to Pittman, they have added Dave Lippman, formerly design head at eBay, as its chief design officer; and engineering veteran Lou Marzano as its VP of hardware, R&D and manufacturing, with more hires to come. 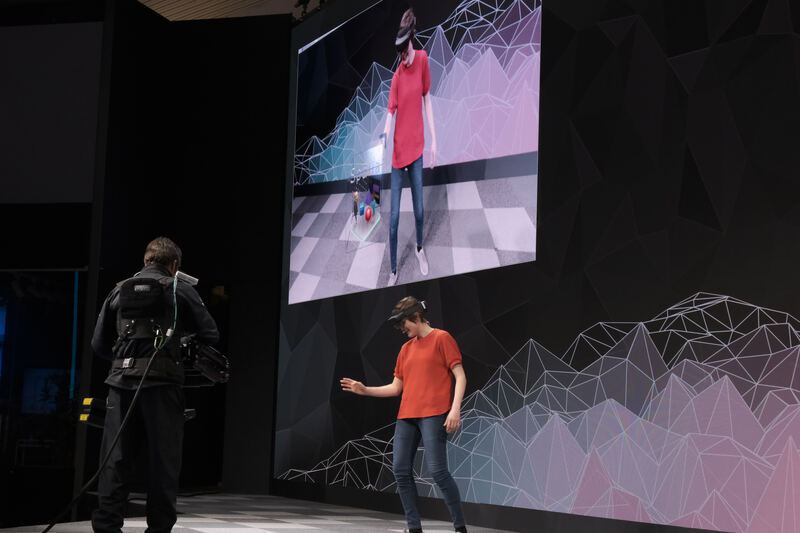 Microsoft unveiled the latest version of its HoloLens ‘mixed reality’ headset at MWC Barcelona today. 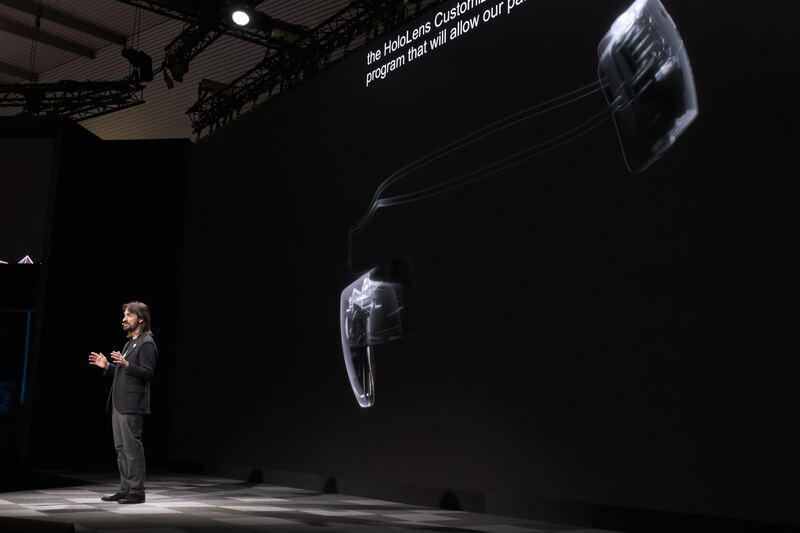 The new HoloLens 2 features a significantly larger field of view, higher resolution and a device that’s more comfortable to wear. Indeed, Microsoft says the device is three times as comfortable to wear (though it’s unclear how Microsoft measured this). Later this year, HoloLens 2 will be available in the United States, Japan, China, Germany, Canada, United Kingdom, Ireland, France, Australia and New Zealand for $3,500. One of the knocks against the original HoloLens was its limited field of view. When whatever you wanted to look at was small and straight ahead of you, the effect was striking. But when you moved your head a little bit or looked at a larger object, it suddenly felt like you were looking through a stamp-sized screen. 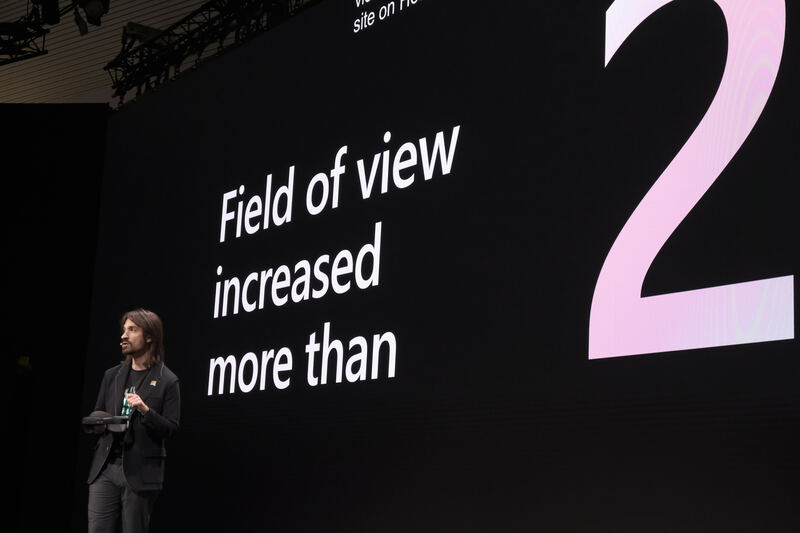 HoloLens 2 features a field of view that’s twice as large as the original. The HoloLens was always just as much about the software as the hardware, though. For HoloLens, Microsoft developed a special version of Windows, together with a new way of interacting with the AR objects through gestures like air tap and bloom. In this new version, the interaction is far more natural and lets you tap objects. The device also tracks your gaze more accurately to allow the software to adjust to where you are looking. Microsoft first unveiled the HoloLens concept at a surprise event on its Redmond campus back in 2015. After a limited, invite-only release that started days after the end of MWC 2016, the device went on sale to everybody in August 2016. Four years is a long time between hardware releases, but the company clearly wanted to seed the market and give developer a chance to build the first set of HoloLens applications on a stable platform. To support developers, Microsoft is also launching a number of Azure services for HoloLens today. These include spatial anchors and remote rendering to help developers stream high-polygon content to HoloLens. It’s worth noting that Microsoft never positioned the device as consumer hardware. I may have shown off the occasional game, but its focus was always on business applications, with a bit of educational applications thrown in, too. That trend continued today. Microsoft showed off the ability to have multiple people collaborate around a single hologram, for example. That’s not new, of course, but goes to show how Microsoft is positioning this technology. For these enterprises, Microsoft will also offer the ability to customize the device. “When you change the way you see the world, you change the world you see,” Microsoft CEO Satya Nadella said, repeating a line from the company’s first HoloLens announcement four years ago. He noted that he believes that connecting the physical world with the virtual world will transform the way we will work. Chatbots and other AI-based tools have firmly found footing in the world of customer service, used either to augment or completely replace the role of a human responding to questions and complaints, or (sometimes, annoyingly, at the same time as the previous two functions) sell more products to users. The funding will be used both to expand the company’s current business as well as move into new product areas like sales. Eitan Cohen, the CEO and co-founder, said that the company today provides tools to some 15,000 customer service agents and counts companies like Samsung and Vodafone among its customers across verticals like financial services, tech, telecoms and insurance. The potential opportunity is big: Cohen estimates there are about 2 million customer service agents in the U.S., and about 14 million globally. TechSee is not disclosing its valuation. It has raised around $23 million to date. While TechSee provides support for software and apps, its sweet spot up to now has been providing video-based assistance to customers calling with questions about the long tail of hardware out in the world, used for example in a broadband home Wi-Fi service. In fact, Cohen said he came up with the idea for the service when his parents phoned him up to help them get their cable service back up, and he found himself challenged to do it without being able to see the set-top box to talk them through what to do. So he thought about all the how-to videos that are on platforms like YouTube and decided there was an opportunity to harness that in a more organised way for the companies providing an increasing array of kit that may never get the vlogger treatment. “We are trying to bring that YouTube experience for all hardware,” he said in an interview. The product today is sold along two main trajectories: assisting customer reps; and providing unmanned video assistance to replace some of the easier and more common questions that get asked. In cases where live video support is provided, the customer opts in for the service, similar to how she or he might for a support service that “takes over” the device in question to diagnose and try to fix an issue. Here, the camera for the service becomes a customer’s own phone. Over time, that live assistance is used in two ways that are directly linked to TechSee’s artificial intelligence play. First, it helps to build up TechSee’s larger back catalogue of videos, where all identifying characteristics are removed with the focus solely on the device or problem in question. Second, the experience in the video is also used to build TechSee’s algorithms for future interactions. Cohen said there are now “millions” of media files — images and videos — in the company’s catalogue. The effectiveness of its system so far has been pretty impressive. TechSee’s customers — the companies running the customer support — say they have on average seen a 40 percent increase in customer satisfaction (NPS scores), a 17 percent decrease in technician dispatches and between 20 and 30 percent increase in first-call resolutions, depending on the industry. TechSee is not the only company that has built a video-based customer engagement platform: others include Stryng, CallVU and Vee24. And you could imagine companies like Amazon — which is already dabbling in providing advice to customers based on what its Echo Look can see — might be interested in providing such services to users across the millions of products that it sells, as well as provide that as a service to third parties. According to Cohen, what TechSee has going for it compared to those startups, and also the potential entry of companies like Microsoft or Amazon into the mix, is a head start on raw data and a vision of how it will be used by the startup’s AI to build the business. Salesforce’s interest in the company, he said, is a natural progression of where that data and customer relationship can take a business beyond responsive support into areas like quick warranty verification (for all those times people have neglected to do a product registration), snapping fender benders for insurance claims and of course upselling to other products and services. “Salesforce sees the synergies between the sales cloud and the service cloud,” Cohen said. Upskill has been working on a platform to support augmented and mixed reality for almost as long as most people have been aware of the concept. It began developing an agnostic AR/MR platform way back in 2010. Google Glass didn’t even appear until two years later. Today, the company announced the early release of Skylight for Microsoft HoloLens. Upskill has been developing Skylight as an operating platform to work across all devices, regardless of the manufacturer, but company co-founder and CEO Brian Ballard sees something special with HoloLens. “What HoloLens does for certain types of experiences, is it actually opens up a lot more real estate to display information in a way that users can take advantage of,” Ballard explained. He believes the Microsoft device fits well within the broader approach his company has been taking over the last several years to support the range of hardware on the market while developing solutions for hands-free and connected workforce concepts. 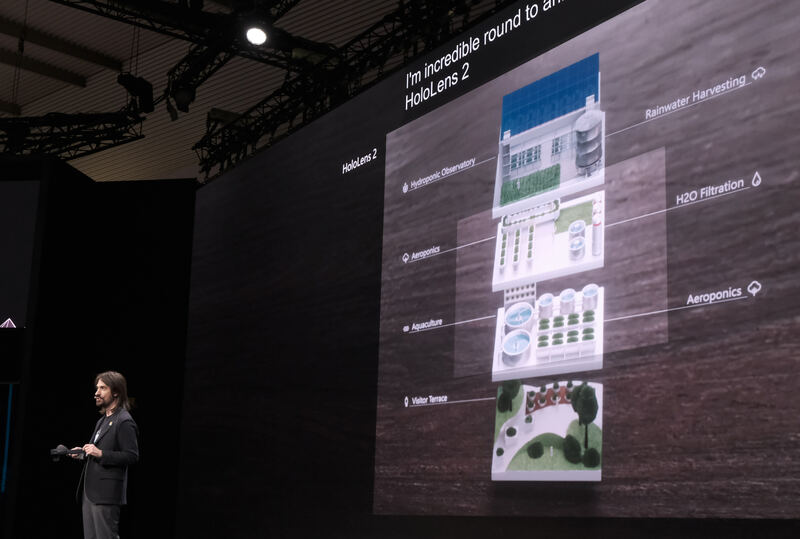 “This is about extending Skylight into the spatial computing environment making sure that the workflows, the collaboration, the connectivity is seamless across all of these different devices,” he told TechCrunch. Microsoft itself just announced some new HoloLens use cases for its Dynamics 365 platform around remote assistance and 3D layout, use cases which play to the HoloLens strengths, but Ballard says his company is a partner with Microsoft, offering an enhanced, full-stack solution on top of what Microsoft is giving customers out of the box. That is certainly something Microsoft’s Terry Farrell, director of product marketing for mixed reality at Microsoft recognizes and acknowledges. “As adoption of Microsoft HoloLens continues to rapidly increase in industrial settings, Skylight offers a software platform that is flexible and can scale to meet any number of applications well suited for mixed reality experiences,” he said in a statement. That involves features like spatial content placement, which allows employees to work with digital content in HoloLens, while keeping their hands free to work in the real world. They enhance this with the ability to see multiple reference materials across multiple windows at the same time, something we are used to doing with a desktop computer, but not with a device on our faces like HoloLens. Finally, workers can use hand gestures and simple gazes to navigate in virtual space, directing applications or moving windows, as we are used to doing with keyboard or mouse. Upskill also builds on the Windows 10 capabilities in HoloLens with its broad experience securely connecting to back-end systems to pull the information into the mixed reality setting wherever it lives in the enterprise. The company is based outside of Washington, D.C. in Vienna, Virginia. It has raised over $45 million, according to Crunchbase. Ballard says the company currently has 70 employees. Customers using Skylight include Boeing, GE, Coca-Cola, Telstra and Accenture. Microsoft HoloLens mixed reality glasses have always been interesting technology, but it’s never been clear how the company would move from novelty device to actual viable business use cases. 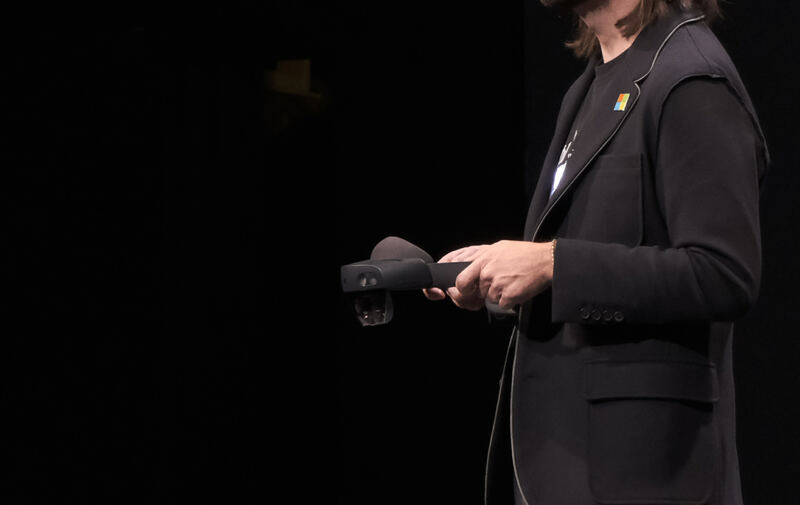 Today, it made a move toward the latter, announcing a couple of applications designed to put the HoloLens to work in Dynamics 365, giving it a real business purpose. Dynamics 365 is Microsoft’s one-stop shop for CRM and ERP, where a company can work on some of its key business software functions including field service in an integrated fashion. The company has been looking at for HoloLens to bring computing power to a group of field workers like repair technicians for whom even a tablet would be awkward because they have to work with both hands free. For these people, having a fully functioning Windows 10 computer you can wear on your face could be a big advantage and that’s what Microsoft is hoping to provide with HoloLens. The problem was finding use cases where this would make sense. One idea is providing remote assistance for people out in the field to get help from subject experts back at the office, and today the company announced Dynamics 365 Remote Assist. In this scenario, the worker is wearing a HoloLens either to understand the repair scenario before they go to the site or to get remote help from a subject expert while they are at the site. The expert can virtually see what the technician is seeing through the HoloLens, and walk them through the repair without leaving the office, even circling parts and providing other annotations in real time. Microsoft is not the first company to create such a solution. ScopeAR announced RemoteAR 4 months ago, a similar product, but Microsoft has the advantage of building it natively into Windows 10 and all that entails including data integration to update the various repositories with information after the repair is complete. The other business scenario the company is announcing today is called Dynamics 365 Layout. A designer can create a 3D representation of something like a store or factory layout in CAD software, view the design in 3D in HoloLens, and adjust it in real time before the design goes live. As Microsoft’s Lorraine Bardeen, who has the cool title of General Manager for Microsoft Mixed Reality says, instead of creating cardboard mockups and adjusting your 3D CAD drawing on your computer as you find issues in your design, you can put on your HoloLens and make adjustments in a virtual representation of the layout and it adjusts the CAD drawing for you as you make changes. 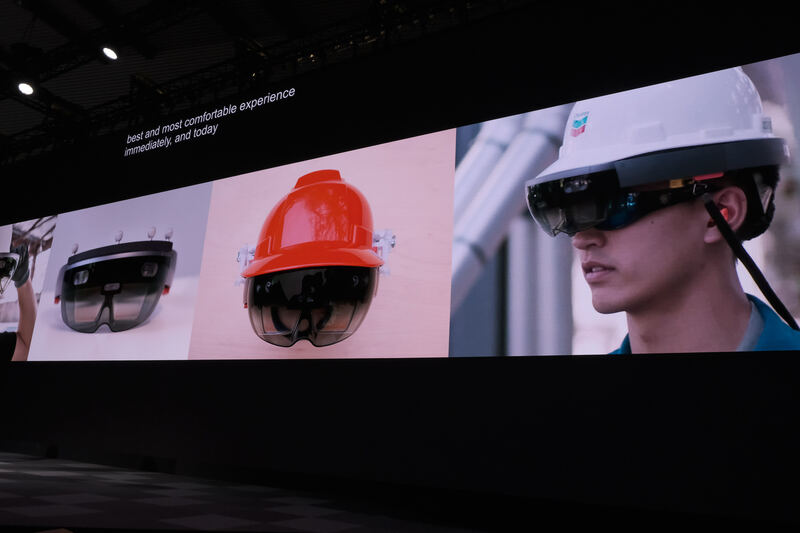 Bardeen says the company has worked with customers to find real-world use cases that would save time, effort and money using mixed reality with HoloLens. 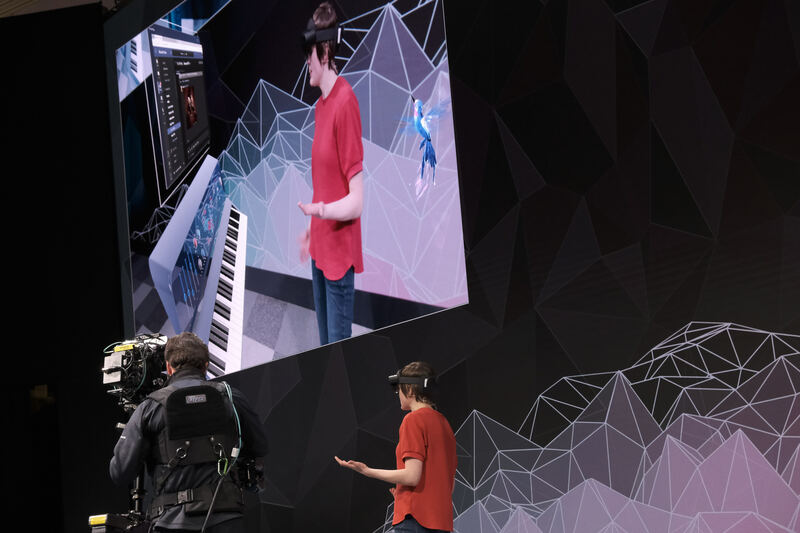 They cite companies like Chevron, Ford and ThyssenKrupp Elevators as organizations actively embracing this kind of technology, but it still not clear if HoloLens and mixed reality will become a central component of business in the future. These two solutions GA on October 1st and we will begin the process of finding out.